Drones! Drones! Drones! 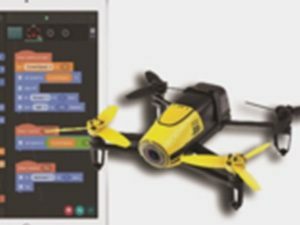 See your code take flight as you control and perform stunts with drones. You will learn to program the controller; create pre-programmed flight plans; and develop skills to fly an aerial drone. Drones make STEM learning relevant and fun through challenges such taking off and landing, performing flips, taking photos, airshow maneuvers, free-flight air battles and more. The course will also discuss what defines a drone, what their everyday uses, and how our mini-drones work.